IronFX is a global financial services company specialising in online trading of forex, commodities, spot metals, binary options and contracts for difference on US and UK stocks. Established in 2010, IronFX serves retail and institutional customers covering Europe, Asia, the Middle East, Africa and Latin America. Following its recent expansion it now boasts operations in 17 global locations including New York, London, Moscow, Montevideo, Shanghai and Sydney. IronFX anticipates that it will have a total of 27 offices around the world by June 2013. Alongside unrivalled trading conditions and superior customer service, client fund security is a top priority. Clients can be assured that their funds are held with security, clarity and integrity as IronFX provides banking and treasury services through UBS, BNP Paribas, Raiffeisen, Westpac and other world-class banking institutions. In addition, all client funds are completely segregated and monitored by both external and internal auditors, Ernst & Young and KPMG. Finally, IronFX provides an automated risk management system to ensure that clients account balances will never go negative. It maintains an internal compliance function, which is an independent unit within the company with the ultimate goal of ensuring compliance with local and international regulations. It goes without saying that the financial markets have been shaken by the ongoing economic crisis and many financial companies have been forced to reassess their operations. It has not been any different within the forex market; however, this sector has since emerged largely improved. Last year was notable for the increasing politicisation of the markets and the dominating influence of the monetary authorities. Economic indicators and private-sector capital flows, which had previously been the drivers of markets, took a back seat to the decisions of politicians and central bankers. This year the drivers have winnowed down further as the market began ignoring even the politicians, meaning that events such as the chaotic US budget process and the collapse of the Italian government had only a fleeting impact on the markets. Investors reason that the politicians have little room for maneuverer on fiscal policy and will basically keep to the same path no matter who is in charge. This was demonstrated in countries such as Greece and Spain where a change in governments brought no change in policy. The only policy makers left with any degree of discretion over their actions are the central bankers, so all eyes are on them. IronFX expects that they will keep the monetary taps on full until they judge that the global economy has finally recovered.Providing that the eurozone holds together, IronFX expects that FX market participants are likely to continue focusing more and more on individual country stories as the recovery is still uneven around the world, for the remainder of this year at least. That should give investors greater opportunity to add alpha to their portfolios by studying the fundamentals of each country. It also means increased volatility among cross-currency pairs. Risk-taking sentiment has been improving as stability takes a deeper root in Europe and stock markets recover their pre-Lehman peaks. The big change from last year is that ‘risk on’ is starting to be dollar-positive, whereas last year it was negative for the US dollar. IronFX expects that as stock markets recover their pre-crash peaks, the relative strength of the US economy will prove to be the dominant factor in the market and the dollar will gain value. Finally, the company sees FX continuing to increase its share of market wallet among investors. The superior liquidity, the transparency of the market, the 24-hour dealing, the fact that FX is too big a market to manipulate; will all combine to making it an increasingly popular asset class. Prior to founding IronFX, a lot of time was spent analysing the industry and its biggest players. During that time the company came to a simple realisation. The industry was spending too much on marketing for very little results and was facing ever-diminishing marketing returns in the future. In addition, little attention was paid to the customer, with FX brokers offering basic customer support, which did not identify and address customer needs. The opportunity was therefore present for differentiation through a best-of-market, customer-focused service. IronFX customers are always at the forefront of any decisions, whether they relate to service, technology or product. The company has pioneered a unique customer-focused model providing a dedicated sales account manager for every client. In addition IronFX has a city investment banking mentality, culture and best practice which it has consistently implemented from day one. IronFX introduced a new industry model by combining international capital markets best practice and mentality. The customer service model is supported by a specialised, trained and incentivised sales force, with the target to increase net equity and volumes. The native speaking support team aims to deliver exceptional service in 45 languages to both retail and institutional clients, with the ultimate goal being to facilitate its clients’ trading activities. IronFX offers scalable state-of-the-art technology and operations. It has partnered with System Analysis and Program Development (SAP) to develop a bespoke, fully automated, back office and client funding interface, ensuring efficient processing of all client requests. Clients have access to the unique client portal, which is connected to trading and to the back office. The same system is used for the Introducing Broker (IB) partnership programme, to ensure a secure connection to the IB portal where partners have one-click live access. The company’s internal IT department is manned by worldwide experts who keep on top of technological developments. These operations lead to an overall fixed cost structure due to scalability. Innovation is therefore the impetus for IronFX to respond to the continually developing and ever-growing market. Indeed not only to respond, but also to create, change and exceed market expectations. Considerable time, effort and resources are channelled into technological innovations that will improve trading conditions and product development to satisfy changing and evolving customer needs. IronFX offers varied product range targeting all market segments. Clients benefit from over 200 trading instruments, best-of-markets spreads and the best trading conditions globally with the ‘one account, 15 platforms’ trading functionality. The company offers a variety of mobile platforms, as it understands that it is imperative for clients to stay connected in the world of trading. The emergence of smartphones has re-shaped the industry, with mobile trading now a must for any serious firm. Clients expect to have access to their accounts from different devices on the move and IronFX offered six award-winning mobile trading platforms from the beginning of its operations and the early stages of mobile technology. The company always anticipates the future. To reform customer needs, the company offers excellent, timely and strategically thought out promotions. The company’s competitions and promotions reflect its continuous support, devotion and focus to its existing clients. They are also designed to encourage new traders to try out the multi-award winning platforms and customer centric services through a fun and competitive environment. In 2012, IronFX held the biggest competition in forex history in Shanghai, China, with the first prize being the choice of either a supercar or $150,000 cash. The competition was a huge success and the award ceremony was a spectacular event, attended by members of IronFX’s management and marketing team as well as numerous clients and introducing brokers. CCTV Finance, the biggest state TV station in China, and 21 renowned media agencies were represented at the event. IronFX also rewards its new and existing clients with a trading bonus in their account and now offers a 50 percent Year of the Snake welcome trading bonus on all initial deposits plus a 50 percent bonus on re-deposits. In order to keep clients informed of the latest trades and developments, the company provides its clients with the latest fundamental and technical analysis, which is available through a dedicated research and analysis portal. 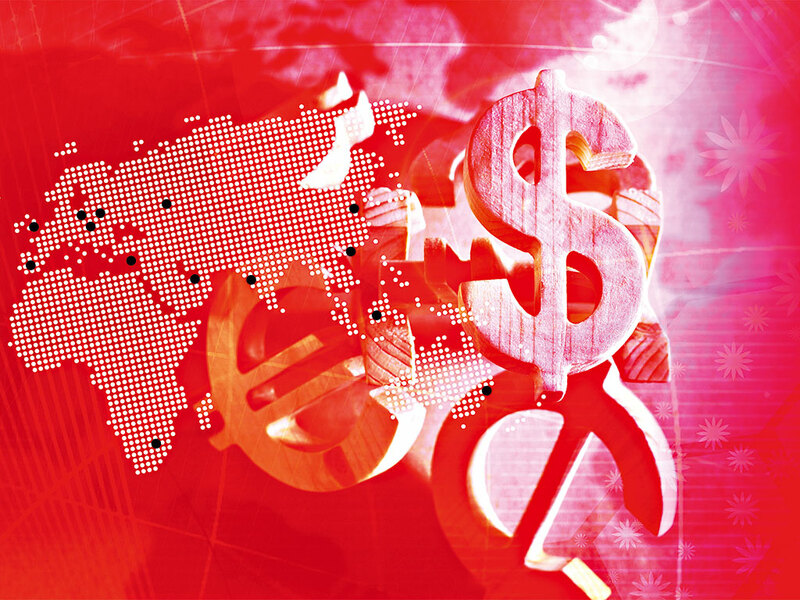 The IronFX strategy team expresses its views on the foreign exchange market, commodities, and economies, analysing how these are likely to move in the future. By examining trends, trying to anticipate market direction, the strategist team acts as an additional resource for trading decisions. In addition, IronFX’s Head of Global FX Strategy Marshall Gittler, a respected veteran in the FX industry, is a frequent speaker on CNN, Sky News, BBC World and Bloomberg, at international investment conferences and is often quoted by the most reputable worldwide financial press (e.g. The Wall Street Journal). According to Markos A Kashiouris, the company will not stop until it becomes number-one in the forex industry. “The mission of IronFX is to deliver an exceptional service experience to all clients, both retail and institutional, while benefiting from a wide range of products, best-of-markets spreads and the best trading conditions globally,” he said. Kashiouris has fostered a unique and proven business model allowing the company to gain market share at phenomenal rates whilst remaining an efficient and lean organisation. The business model is easily scalable, highly cost-efficient and incredibly successful.The overall result is that the company is growing at an astonishing rate and there is no reason for this to change as long as it continues listening to clients and putting quality of service first. The CEO’s vision for the company to be recognised as the global leader in forex trading is supported through its continuous investment in innovative products and personnel in order to deliver the best-market quality and unrivalled level of service. In its pursuit of global trading dominance, IronFX will extend its operations by establishing a physical presence in key markets with the plan being to operate out of 27 office locations around the globe by the end of June 2013.